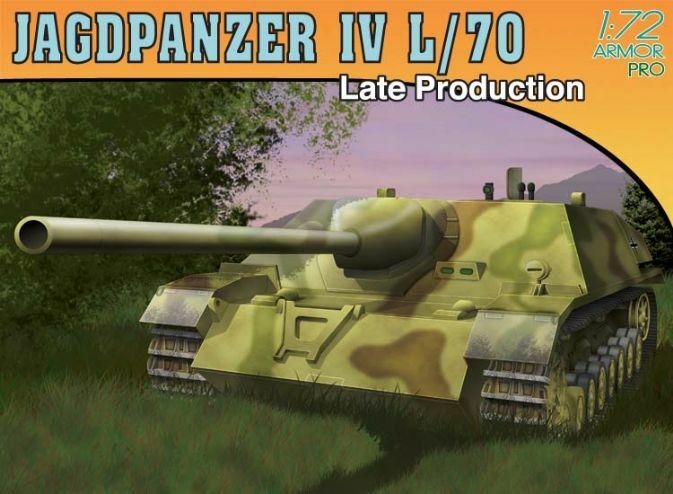 This highly detailed model kit of the Jagdpanzer IV L/70 includes a whole range of totally new parts especially designed for this distinctive armored vehicle. - One-piece return rollers are beautifully made and convenient to assemble, thanks to slide mold technology. The low profiled Jagdpanzer IV was an improvement on the StuG design, even though it was still based on the PzKpfw IV chassis. The L/70 model featured a 75mm PaK42 L/70 gun mounted in the superstructure, and it was in production from August 1944 to March 1945.